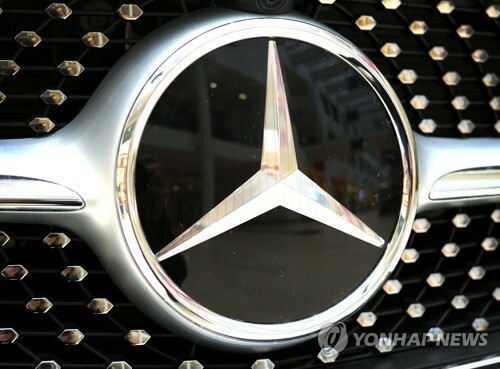 A South Korean court on Thursday slapped a 2.8 billion won ($2.48 million) fine on Mercedes-Benz Korea for selling some 7,000 vehicles equipped with unauthorized parts in violation of Korea’s Clean Air Conservation Act and customs law. Kim was in charge of receiving approval for changes in auto parts. Under the Korean law, it is mandatory to receive government approval for vehicles equipped with new parts. Last year, the German carmaker was prosecuted here on charges of importing and selling 6,749 units of vehicles with unauthorized parts worth 624.5 billion won between January 2014 and July 2017. The carmaker had not yet received authorization for emissions and noise-related parts, which were different from those stated in official documents, according to the charge. “The company appears to have knowingly imported uncertified vehicles. The company has plenty of economic reasons, as it has profited over 200 billion won for missing out on authorization,” the court said in its ruling. “Mercedes-Benz Korea respects the Korean court’s jurisprudence. However we express regrets over concerns raised by the documentation shortfall that resulted from a misinterpretation of the importation and certification process without the employee’s intention to circumvent the law,” the company said in a statement. “We take the case seriously. In the last two years, internal processes have been reinforced and amended to reflect the changing regulatory environment,” it added.